Christian Media in Nigeria : Win Big in #TheExperience10 Challenge! 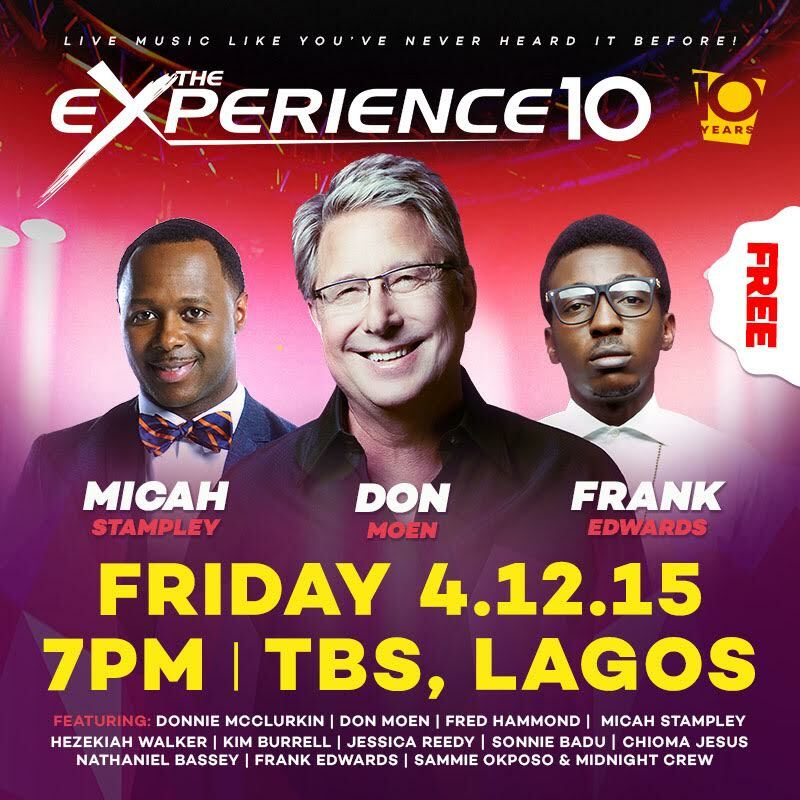 Win Big in #TheExperience10 Challenge! It is no longer news that the 10th edition of the world’s biggest gospel concert 'The Experience' will be holding on the 4th of December 2015 with over 700,000 people set to come together from 7:00pm till 6am for 11hours of uninterrupted live music and prayers at the Tafawa Balewa Square, Lagos. But how about some fun before the D-Day? The Experience Lagos wants you to 'List The Experience 2015 artistes' for a chance to win some exciting gifts. 1) Make a short video of yourself listing all the Experience 2015 artistes, poetically reciting, singing, rapping, dancing or all of the above but in a creative way. 2) Post your video on Facebook, Instagram or Twitter and Tag The Experience Lagos handle + use the hashtag #TheExperience10 in your post. The 10 creative videos uploaded on the website get a free ‘Experience 10’ Shirt but the most creative video becomes the ultimate winner and gets a blog feature, a free Experience 20 shirt and 2 VIP passes.